What’s more important in sales – results or activity? We’re not inclined to tell business owners that results are not the most important part of their business. However, results are not the important part of their business! At least for the sales team they’re not, that particular moniker goes to activity! QUALITY: Are you doing it with skill, knowledge & enthusiasm? 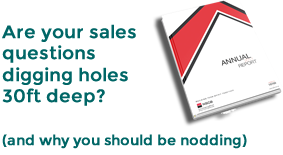 Focussing on the needs of your customers and building strong relationships? QUALITY: Fully research prospects to ensure they are an ideal client.